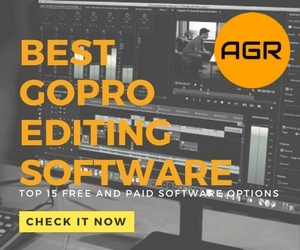 Learn what are the best free and paid GoPro editing software for 2019 to get the best out of your GoPro footage and create awesome short movies/videos. In the below article, I will provide a list of GoPro video editors that work perfectly with your footage. I will also provide as much detail as possible on each software while mentioning the recommended operating systems and system requirements. GoPro is one of the best, if not the best action camera out there. It has a huge base of loyal users, who are always looking forward to the latest camera version of the camera. It offers tons of features for all video makers to maximize their potential from and have a perfect shooting. However, apart from the in-camera features, the GoPro also has several recommended top editing software. These video editors can be used to enhance the captured footage and make it more visually engaging. Who wouldn’t want to create an awesome video after a hiking trip or other extreme sports? The purpose of using this software can be to produce a professional clip or just for sharing on social media and video platforms such as YouTube, Vimeo and Dailymotion. In this article, I’m going to show you some of the best GoPro editing software, to help you take your GoPro video shooting game to the next level. The list will include both free and paid programs, and have consistently been rated highly by both the critics and the users. Apart from the ratings themselves, I have also researched the features offered by the listed software and the versatility with which you can use them. All the information has been provided systematically in the comprehensive review section below, which will definitely help you in selecting the right software. 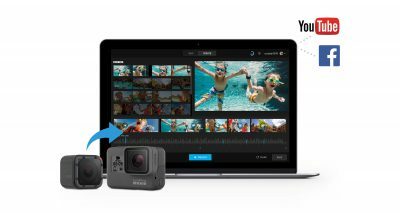 So now that you have decided to get a video editing software for your GoPro footage, you need to know how to select one from the different options available in the market now. Each editing software has different features and strengths. If this is the first time you are going to purchase an editing software for your GoPro camera, you might not know where to start and how to find the best option for your requirements. To help you in the selection process, I have curated this mini buying guide with all the relevant information needed in deciding between the various GoPro editing software. First, you need to decide whether you are going to get a free software or a paid one. If you are going to spend money in purchasing a software, you need to set your budget. There are some programs which cost a few dollars and can be afforded by most people. other software can have a price tag of the north of three hundred dollars and require a proper budget to afford unless you are a corporate purchaser. Another important factor in selecting an editing software is its ease of usage. Since people of various professional and editing levels make use of these programs, what may suit one person may not be convenient for another. The current video editors in the market cater to amateur, intermediate and professional users. The software for amateurs are very intuitive and friendly, with all the basic features. On the other hand, programs for professionals require expertise to handle and are usually packed with advanced features, along with a high price tag. The last and perhaps the most important thing you need to look at in a software is the features being offered by it. You may require all or some of these features and hence must pick out a software appropriately. There may be other factors involved in selecting a software, based on the individuals own preference. the points mentioned above are the absolute must to consider to select an appropriate GoPro editing software. You also need to make sure your computer is powerful enough to handle the editing software and the GoPro videos, you can check my list of the best laptops and desktops for GoPro editing here. In this section, I’m going to go over fifteen different GoPro video editors. All of them are highly rated, however some come with limited features while others are a power house. Adobe Premiere has been around for a long time. 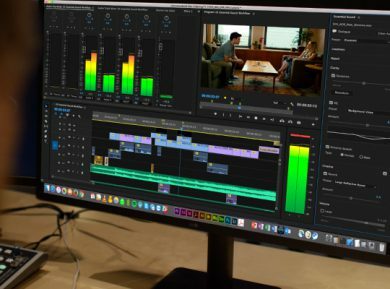 The latest version, Adobe Premiere CC, has brought some new features to the table, to match the latest cameras and technologies. First, just as any other Adobe creative product, you gain access to the Creative Cloud, where you can store your project, download new plug-ins and templates and even have access to numerous tutorials, if you’re looking to improve your editing abilities. The current version offers support for 4K video editing, 360-degree VR footage and HDR Video. It also has the Lumetri Color tool, that allows you to do fast adjustments to the color of your videos that’s also packed with a lot of presets for beginners. The UI is a standard Adobe Interface, which can get a bit cluttered when working with multiple plug-ins and effects at the same time, so you’d greatly benefit from using a second monitor. With that out of the way, the 4K, 360-degree support, multi-camera angle editing and nice color correction tools make it a very good editing software to use with any GoPro footage. Another thing that’s nice about the Adobe Premiere Pro CC is that it’s available for both Mac and Windows users (the Creative Cloud is also accessible from mobile devices). The system requirements are higher, as this is one of the most professional editing tools on the market. Running on Windows 7 Service Pack 1 or newer (Windows 10 recommended) and Mac OS 10.10 throughout 10.12, you’ll need at least a 64-bit multi-core processor, 8 GB of RAM, 8GB of free storage, a 1280 x 800 display, an ASIO compatible sound card for Windows (although the ASIO4ALL free software can emulate one), an Apple Core Audio compatible soundcard for Mac OS and an internet connection. For 4K and 360 video editing, you’ll need 16 GB of RAM, a Core i7 of AMD equivalent, a high-resolution display and a 4K compatible GPU. Adobe Premiere has seen a lot of different variants throughout the years. Premiere is one of the top choices for video editing when it comes to YouTube videos because of its easy-to-use and intuitive UI. A number of different video export presets, which is great for consumers that don’t really know what settings to fill when exporting a video for entertainment or personal use and a lot of plug-ins and editing tools, such as slow motion, video effects and transitions, zoom and more. 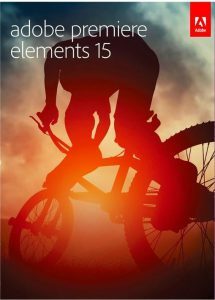 The latest version, 2019, of Adobe Premiere Elements offers 4K video support, although this consumer software offers a mediocre rendering speed, something to keep in mind when editing Ultra HD videos. It retails at $80, a cheap price and all its features, effects and plug-ins, indicate that it would be a great choice for GoPro users. As a consumer software, it doesn’t have any high-end features, such as 360-degree video editing support or multi-cam editing. This can be a bummer for the professional GoPro users, however for beginner or intermediate users, the features provided in the software are more than enough. As a consumer-level software, the system requirements for the Adobe Premier Elements 15 are not that high. Supported by Windows 7 (Service Pack 1) and above and Mac OS, everyone is covered. A Windows system must have at least 2GHz of processing power with SSE2 support, with dual and multi-core processors required for editing higher-resolution videos. 15 GB of free storage are required to fully install the software and all of its features (this is available for both the Windows and Mac versions). Both the sound card and GPU must be Direct X 9 compatible (or above). For Mac users, the device’s processor must be a 64-bit multi-core unit. Other than that, both system need a DVD-ROM drive for installation and an internet connection for updates. The Final Cut Pro X, the latest version of the Final Cut editing software, is a very impressive app. Designed for professional users, it has a very clean and friendly UI that’s intuitive and easy to navigate and explore. It comes by default with a pretty big effect and transition library. The workspace is very customizable so that you can dedicate all the space to your current tasks. The ratings and tagging features will allow you to browse the library quicker and revisit your favorite effects. The software also features image stabilization tools, 4K video, multi-core and integrated MacBook Touch bar support for ease of use. Also present in the Final Cut Pro X, 3D titles editing tools. Moving onto the drawbacks, it doesn’t feature any 360 VR footage editing tools and very basic export options that enable users to use a separate app for non-standard exports. A Mac exclusive software. 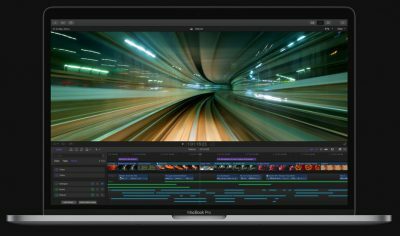 The Final Cut Pro X can be purchased from Apple and Amazon and used only on Apple devices. System requirements are a bit tricky when talking about Apple products, as prices skyrocket when purchasing higher-end products. The minimum system requirements are OS X v10.11.4 or higher, 4 GB of RAM (with 8GB+ recommended for editing 4K videos and adding 3D titles), OpenCL compatible graphics card or Intel HD 3000 Graphics and 4.15GB of storage. For editing 4K video and using 3D titles, you’ll need at least 1GB of VRAM, which can be tricky, as most Apple products use the Intel HD integrated graphics processors, using the device’s memory to process textures, high-resolution videos and so on, which can have a big impact on the overall performance of the system. 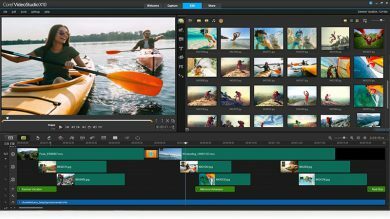 Magix Movie Edit Pro 2019 Plus is a highly rated video editor. It has been raking in top reviews from its users for over a year, since its release. The unique feature about this software is that it allows you to use all the professional and advanced tools, without burdening you with a complex interface. What this means is that even an intermediate film maker can create Hollywood level footage for movies, short films, commercials and other purposes. The most popular features in the program include Mercalli image stabilization, open FX support for third party plugins, 360-degree footage editing, automatic color and grading correction, travel route animation with support for GPS data and preset project choices. The video can be delivered in various formats, including 4K Ultra HD. 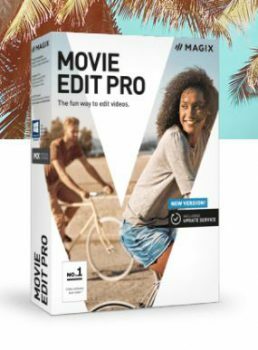 Magix Movie Edit comes as a free and a paid version. The free version has all the basic tools you would need for editing footage, while the Pro version comes with all the premium features. The Magix editor works on the Microsoft Windows operating system (Vista and above). For computers, the minimum system requirements include a 2.4 GHz processor, 2 GB RAM, 512 MB video RAM and 2 GB disk space. Relative to what other high-end software require, Magix is not system intensive and allows you to carry out professional level work even on mid-level systems. Magix also has a dedicated Android application known as Magix Touch, which allows you to quickly edit and put effects on your video/photos, without any extensive changes. It requires android 4.3 or higher, 2 GB of RAM and 1.5 GHz processing speed to work, which means that any modern smart phone can easily run it. As with any other software, it is better to have more than the minimum mentioned specifications to run the program smoothly and even use it for intensive editing and rendering, without the settings taking too long to be implemented in your footage. The Corel Pinnacle Studio Windows is a near-professional level software that’s packed with features that will be very useful for video editor enthusiasts of all levels of skill. The Pinnacle Studio is a great choice for all GoPro users, as it can be used to edit videos of different resolutions, for up to 4K video editing and rendering (although this requires a lot of disk storage, but we’ll get to that later). Unlimited video tracks is a very cool feature, and the fact that the windows are very customizable means that you’ll be able to set up your screen and see the video output after effects on the right, the tracks on the bottom, conveniently place an effect panel or clipboard, and even work on multiple monitors, which is a feature that isn’t present in all video editing software. It’s very similar in design and UI to the Adobe Premiere, a software which has shaped the video-editing industry. The software even supports 360-degree 3D video editing options and tools. In addition to that, Corel has launched an iOS version of the software, which you can find on iTunes and purchase separately from the main product. The mobile app also features 4K video support tools, but no 360 and 3D options. The Corel Pinnacle Studio 20 will run on most versions of any Windows OS since (and including) 7. From that perspective, it’s really great, as the OS won’t be an issue for most users, although Windows 10 is the recommended version for optimal use. When it comes to system requirements, they scale, depending on what you’re going to edit. An i3 or AMD A4 3.0 GHz or higher and 4 GB of RAM are recommended for editing 1080p video. For Ultra HD 4K videos, it’s best you use the 7th generation Core i7, AMD Athlon A10 or Ryzen series 1700+ and 8+ GB of DDR3 or DDR4 RAM. When it comes to Graphics, it’s not very demanding. Any GPU that supports DirectX 10+, which is very common nowadays. Even integrated GPUs will handle the task without causing any issues. The display must support at least 1024 x 768 resolutions (although higher resolutions are recommended). The Pinnacle Studio for iOS will work on any device that supports iOS 9.3 or higher (iPod touch, iPad and iPhone). I think that the app is best used on an iPad with a stylus pen, for more precision. Sony and film making go hand in hand. The Sony Vegas has always been one of the top pics for video editors everywhere. 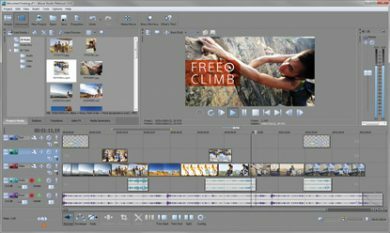 One of the most current variants of the software, the Vegas Studio 14 Platinum, a Magix version of the application, is a relatively cheap option for high-quality video editing. It’s more affordable than other professional editing software. Looking at the features, it does what you’d expect. The user interface is very customizable and you can edit the windows based on what you’re editing, a standard feature on the market. Keep in mind that this is more consumer-oriented, not meant for professional use. That being said, it does support 4K video editing, multi-cam editing and, by default, it comes with a lot of different effects and transitions, to add a little spice to your montage. If you don’t find what you like within the default library, you can always search for additional media and even use it for 3D content. Color correction and stabilization are also available features and, if you’re unsure whether this software is compatible with your needs, the manufacturers offer a 30-day free trial, which is really nice. You can own the complete software for around 80$, purchased directly from the manufacturer’s website. Moving on to system and OS requirements, you’ll find that the Vegas Studio 14 Platinum edition is supported by Windows 7 and above operating systems if you’re using the 64-bit versions. Other than that, the minimum system requirements are low. Your CPU must have at least 2 GHz processing power, and multi-core processors are recommended for editing stereoscopic 3D and HD videos. Memory-wise, this will run properly on a system that features at least 4 GB of RAM, but 2 GB are sufficient for lower-quality rendering and editing. Other than that, a USB 2.0 (or above) slot is required to transfer videos from your camcorder, a GPU memory of at least 512 VRAM manufactured by NVIDIA, AMD or Intel (although not all models are supported, check the manufacturers website) and a Windows-compatible sound card. The Cyberlink PowerDirector Ultra 17 is a very, very potent software. What’s interesting that the makers from Cyberlink have managed to produce a high-end performing software that sells for consumer prices. Usually, people tend to opt for companies with notoriety when it comes to video-editing software, and it’s easy to miss such a great application. 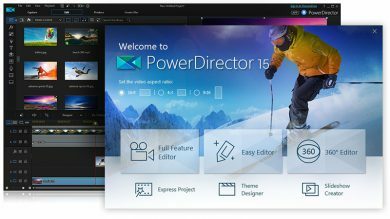 Looking at the capabilities of the PowerDirector Ultra 17, you’ll see that, for GoPro video makers, it offers one of the highest values on the market. The UI is very intuitive to use, although, as a downside, it can get a little too cluttered. Just manage your space with care and you won’t have that problem. This software is capable of rendering 4K videos at very fast speed (although you need a high-end setup for that), has blue-ray disc authoring and loads of effects and transitions to give your videos a nice, professional touch. Moreover, premium features that you can find in this software are 360-degree VR editing tools, motion tracking, and 3D rendering capabilities – very, very impressive package. Retailing at around $80, this is clearly one of the best products on the market when it comes to value. The Cyberlink PowerDirector Ultra 17 is a Windows exclusive. Any version of Windows since 7 can support it, although it’s recommended that you run this on a 64-bit system. Although it has a lot of potent features, it’s very optimized, so the minimum system requirements are very low. Depending on what you want to be editing, the bare minimum is an Intel Core i-series processor or the AMD equivalent (Phenom II), 2 GB of memory, 1024 x 768 display with at least 16-bit color, 128 VRAM GPU and an internet connection. As you start editing higher resolution videos, you’ll notice that a better setup will give you faster rendering and a smoother experience. The Corel Video Studio Ultimate X10 is a consumer video-editing software sold by the industry giants at Corel. Their experience in this field translates into all their products, and the Studio Ultimate version X10 is no different. Retailing at $100 or $80 for an upgrade from previous versions, you’re getting a good deal. Capable of rendering 4K videos (although not as fast as other competitor products), and packed with features and effects, it’s a good pick for editing GoPro footage of any kind. This version of the Studio Ultimate also allows the user to work with 360-degree footage, great for editing your GoPro Fusion videos. The simple UI allows the user to customize the workspace to maximize efficiency. You can also use up to six multi-cam tracks, a feature that’s rare in consumer video editing software. The only issue is that, when you’re going through the effect library, there’s no search bar, which gets a bit frustrating, especially when editing longer videos. As a consumer-level software, the system requirements are very low. Firstly, it requires Windows 7 or above 64-bit versions. You can use the 32-bit versions, but, due to the limited power output of 32-bit processors, you won’t be getting much work done. Ideally, you should be using at least a Core i3 or an AMD A4 3.0GHz processor, a Core i5 or i7 running at 1.06 GHz+ when using AVCHD & Intel Quick Sync Video support. For UHD, multi-camera or 360-degree video editing, you want to have access to an i7 or AMD Athlon A10 (at least), a GPU capable of 4K video (which can cost you around $600) and 8+ GB of memory. Storage-wise, you need at least 8GB of free HDD space. Sony is, by now, known as one of the industry’s leaders in innovative and creative concepts. The Sony Catalyst Creative Suite is a very uniquely-designed software that’s targeted towards people who are very set on great resource management. It is a pretty solid production and post-production editing software for serious filmmakers. The Catalyst has three parts – the Browse, which can be downloaded from the manufacturer’s website for free and comes bundled with any Sony camera, the Catalyst Prepare, a software that’s designed for high workloads and allows the user to apply raw edits to footage (trims, color correction) in preparation for the post-production process, and the Catalyst Edit, the main software used for editing video footage. What’s a big letdown for the suite is that it’s not capable of 3D or 360-degree video editing, which are essential features for professionals and some casual enthusiasts, and it’s also quite expensive. In fact, you can’t even own the Catalyst Suite, you must select a payment plan that will set you back $200 per year. That being said, it’s a very good editing software for people who have big workloads, as the Catalyst Prepare allows you to browse and manage and prepare footage for post-production in a very comfortable and friendly fashion. The Sony Catalyst Suite can run both on Mac OS and Windows. On Windows, the software must be installed on Windows 7 or higher 64-bit versions. On Macintosh, you must have at least macOS 10.11 (El Capitan) or 10.12 (Sierra). A 2GHz multicore processor, 4 GB of RAM, a GPU with at least 512 MB of VRAM that supports Open CL 1.1, with Open GL 2.1 recommended for maximum performance. 500 MB of storage is required for the installation. 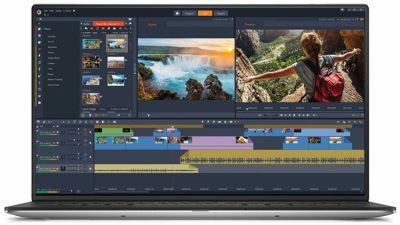 For editing 4K videos, you should have at least an octa-core processor and 16 GB of RAM (DDR3 or DDR4 recommended), and a GPU capable of rendering 4K videos. 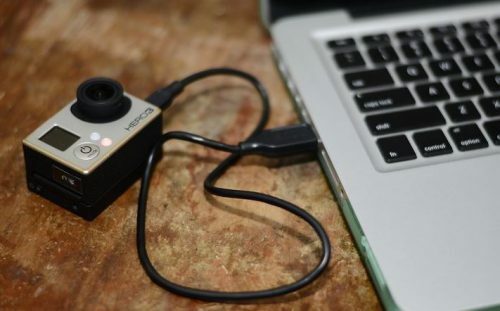 Quik is an official GoPro editing software, made and released by the manufacturer itself. It is going to help you with all your editing needs, with quick access to most settings and effects. You can use Quik for cropping, aligning, merging, speeding and slowing your footage. Import and automatically sync all your videos from your GoPro to the software. Quik also supports modern editing features such as panorama and time-lapse. You can mix your footage with the music of your choice, from a large sound library, to create the audio-visual experience to hook viewers. Apart from videos, the program can be used to edit the photos as well. There is also unique support to embed the GoPro data on your video by embedding another layer atop, reflecting your speed, height, etc. The best thing about Quik is that it does not need any professional experience to start using. You can create bursts of creative content with just a few clicks, which makes it a very good option for new GoPro enthusiasts. After creating the content, you can easily share it with your friends, family, and fans on your Facebook page, YouTube channel and other social media websites. You might notice that Quik can crash sometimes during video editing, I had issues with it lately so I moved to Adobe Premiere. Quik by GoPro is compatible with Microsoft Windows (Windows 10) and Mac OS (10.10.X +). This means that most of the users can easily make use of the software. There are some system requirements to run the program smoothly. These include having an Intel i3 (Windows) or Intel i7 (Mac OS) CPU, with at least 4 GB of RAM, 512 MB of Video RAM and Intel HD Graphics 4000. Of course, having high specifications than the mentioned ones will ensure that Quik works at the highest settings and gives you the best user experience. Also, besides the hardware, you need to keep the drivers in your computer up to date to enjoy the best performance. Animoto is a popular choice of many GoPro video makers. Its plus point that makes it almost rudimentary to produce professional level videos. This means that anyone from an amateur to an advanced filmmaker can use it. The program is idiot-proof due to its simple layout and easy to use features. All you need to make a creative video is to upload the GoPro content in Animoto and pick out the music you want to play in the background. There are a ton of sound files to pick from, without paying anything extra. Then press the render button and all is done. The actual time of video or photo rendering depends on your computer specifications, however, in general, you can create quality footage in a matter of a few minutes. In case you are not happy with the first iteration of the rendering, you can press the ‘1 click remix’ and get the program to create another version of the video, with different effects and music. There are also other features to choose from such as text-based frames. All in all, Animoto provides a great fix for quick editing, especially if you require software which matches the high level of professional shooting. The only drawback in this software is that it does not allow you to make any subtle changes to the video. Either you like an effect or you choose a totally different effect. Animoto offers a free 14 days trial for its software, however, to get the full potential of the program, you need to choose between its subscription packages of $8, $22 and $34. Moreover, only the Animoto Pro package allows you to change the white label logo on your videos. Otherwise, you are stuck with having an Animoto logo on all your footage, which can be bothersome for some filmmakers. Now, Animoto can be used on Mac OS, iOS, iPad and Android. For Windows users, unfortunately, there is no version available to use. Moreover, if you are planning to use the Animoto plugin along with the main software, you would need to have Adobe Lightroom installed on your MacBook or iMac. The installation part itself is quite easy and user friendly, which means that you can get going with the software very smoothly. The Wondershare Filmora is another popular application amongst the GoPro users, for their editing needs. The software is not free, but comes with a single usage trial that can be downloaded from the website. The trial provides all the features so you can see if the software will work well for your requirements, however you cannot remove the Filmora watermark, unless you pay the full price. Do note that the license is only meant for a single computer and in case of requiring multiple licenses, you can check out the different prices available on Wondershare Filmora’s website. Usage wise, the Filmora program is pretty easy and powerful. The user interface is friendly, even for the first-time adopters. The software makes content in all the latest formats (AVI, FLV, MKV, MOV, MP4, and WMV) and has support for 720p, HD and 4K resolution that was shot with a Hero4 Black or Hero5 Black. There are several effects to choose from and settings to play with, which let you create an almost professional looking video. The most important features include media importing, screen recording, presets for quick implementation, encoding, exporting and extra editing modes. However, beware that this is not a professional video editing software and is meant for amateurs or intermediate users. After creating the footage, you can easily share it on the social media (Facebook, Twitter, YouTube, etc.) using a once click button. The Wondershare Filmora can be run on, both, Microsoft Windows (7 and above) and Mac OS (10.x.x). The minimum CPU requirement is 2 GHz, while the minimum RAM requirement is 2 GB. However, to do high-resolution (HD and 4K) video editing, you would require at least 8GB of RAM, and preferably 16GB. The CPU and RAM size will affect the software’ performance and usually the bare minimum specifications will only allow Filmora to work slowly and even show some lag. The iMovie is a native video editing software, developed and released by Apple. It is an entry level program which aims to turn your action experiences into aesthetically appealing productions, for the whole world to see. 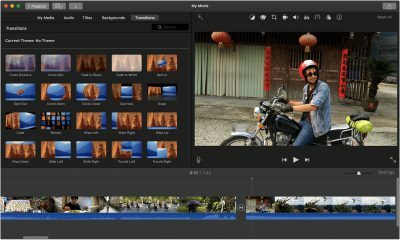 While the iMovie is not a new software, it has been upgraded and now supports latest video editing formats and resolutions up to 4K. Given that it is made by Apple, the clean and highly intuitive user interface is not a surprise. Anybody, from a first timer to a regular user, can make use of the features without feeling confounded. There are tons of options to pick from including themes for several occasions, automatic color correction, audio mixing and effects, Chroma key, etc. After you are done editing, you can easily share your content with all your Apple devices, through the Theater share option. Given that the program largely makes use of presets, you will not be able to make any subtle changes to your content using it. After being satisfied with your content creation, you can directly publish it on several of the social media channels using the sharing option in the app. As its name reflects, the iMovie by Apple is only intended to be used on the Mac OS. This means that you can use it on the MacBook’s and the iMac only. However, do note that due to the various types of MacBooks available, the software will not perform at the same level in all machines. The MacBook Air has the minimum specifications in the range of Apple computer products and the iMovie can only produce content up to 720p in it. On the other hand, the latest MacBook Pro, with the touch bar, supports some unique features in the iMovie, which are not available on other MacBooks. 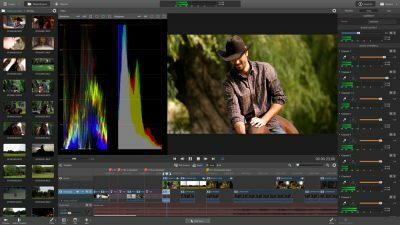 The DaVinci Resolve is a high-end video editor. It has been used in producing content for Hollywood movies like Skyfall and World War Z. Therefore, it is no surprise that it packs powerful features and options, which are intended to be used by advanced filmmakers. It takes a couple of sessions to get used to the interface, however once you frequent yourself with the software, it is very easy to use for creative purposes. The program can simultaneously edit footage of multiple sizes and quality. It can also sync the clips, edit the sound and link up with multiple cameras for real time usage. Cropping the clips and adjusting them in real time requires only a few clicks and is fairly simple. Other premium features include smart color correction, motion detection, 3D compatibility, shot matching, graphics support, etc. Once you have created the content, you can easily deliver it on multiple channels, with support for YouTube, Vimeo, etc. 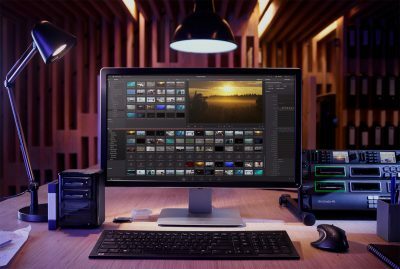 Since the DaVinci Resolve comes in both free and paid versions, you get to experience one of the best software without spending any money if you like. The free version has almost all the features, except for noise reduction, 4K production and motion blurring. The paid version come with a high price tag, but is a complete solution for all the editing needs. The DaVinci Resolve can work on both Windows (8.1 +) and Mac OS (10.10.5 +) operating systems. The minimum CPU requirement is an Intel Core i5, with 512 GB of storage space and 16 GB of RAM. You also need 4 GB of video RAM as well. Of course, if your specs are higher than these minimum ones, you can enjoy the software in its full potential and leverage it to create even more effects-intensive videos. 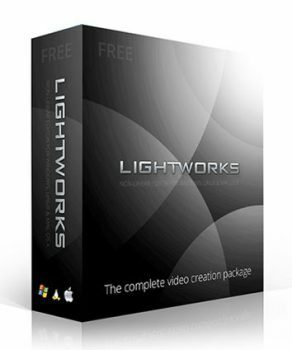 Lightworks is one of the best free software for high end photo and video editing. If you are a film maker on a budget, you are going to love it as the program provides you with all the versatile tools you need to make a professional movie. You can download Lightworks from its native website and start using it right away, with little to no learning required to get hold of the interface. The program allows you to crop videos, size them down, sync them or combine them. There are also presets and creatable profiles so that you can quickly make the changes in videos, especially if there are many of them. The toolkit has enough features to create a short film and use it for post-production creative needs such as audio and visual syncing and color correction. There are also real-time settings that can be adjusted and background encoding options so that you can make a perfect video without getting distracted. After completing your video, you can directly share it on your favorite video-sharing platforms like Vimeo and YouTube. One downside of using the free version is that it only allows you to save your content only in MP4 format, which can be inconvenient for some users. Note that if you want to use Lightworks for commercial purposes, you must purchase a license and upgrade to Lightworks Pro. Lightworks can be used on Microsoft Windows (Vista +), MAC OS (10.x.x +) and Linux (Fedora 20 +). Being a premium editing software, Lightworks requires a high-end system to operate smoothly. It is recommended to have an Intel i7 CPU, with 3 GB of RAM, 1 GB of VGA RAM, a Retina display and 200 MB of disk space, so that you are able to run the software optimally. Now we have reached the end of our comprehensive list of best GoPro editing software for 2019. We have covered all the major options available in the market, including the latest software as well as the established ones. 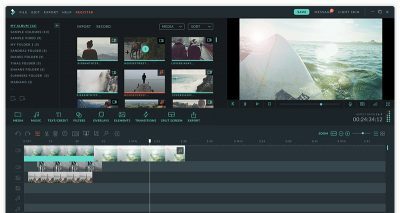 I think that after this guide, you have a certain amount of knowledge on some of the best (and latest) video editing software of the market. I’ve presented products that are meant for beginners, intermediate users and pros, products that can be used in editing standard quality videos, HD videos, UDH 4K videos and 360-degree footage. It’s important to note that each product has its strengths and its weaknesses, and I’ve tried to paint the whole picture in this guide. If you feel that you don’t know which one to purchase yet, try opting for a product that allows users access to a free trial. If you’re interested in 4K editing, then choose a product that features support, but save your money and don’t go for the 360-degree and 3D title tools. If you want to upload weekly or daily videos on YouTube or social media, go with a product that’s designed with better planning and managing tools, so that you save time. An important aspect of how a software will perform is the system specification of your workstation or laptop. You must ensure that you fulfill at least the minimum system requirements to be able to use the editing software smoothly. All in all, all the editing software listed here are great, depending on your GoPro footage quality. Just pick one that suits you best. With any one of them, you will be able to improve the quality and presentation of your footage and mesmerize your viewers with the visually engaging content. What do you think of this list of the Best GoPro Editing Software? Have you tried any?